Saving your operating system on a USB drive is a handy option. Why? Because USBs are fast, portable and you can delete the files once you are done with them and get the space back. Putting it together, USBs have the advantage of so much reusable storage at modest cost. Now, what is a bootable USB if you ask? A bootable USB is a USB with which you can boot or start an Operating System just by plugging it into the USB port of your device. So now, your USB gets booted up from the USB rather than from the hard disk memory of your device. And you can even get multiple OSs loaded into a single USB. Most of the Linux versions can be loaded as a trial and can be installed on your device if you get comfortable with it. 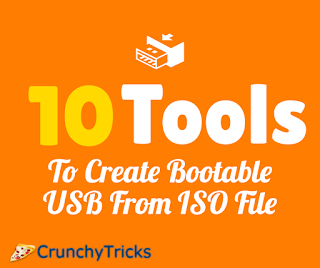 Here are 10 tools to create bootable USB from an ISO file. And all of these tools are free or at least have a trial version that is brought to you at free of cost. Rufus is a lightweight program the lets you create a bootable USB drive. Windows or Linux OSs can be booted using Rufus. You can also check the device for bad blocks, up to 4 passes. Most of the modern Linux versions such as Ubuntu, Kubuntu, Fedora, and Open SUSE can be created. Also, Rufus works for the popular Windows versions, both 32-bit, and 64-bit formats. Just select the bootable disk type and the ISO image that you are going to burn. Then just wait for a little while for the process to finish. And since it automatically detects the drive and its capacity, it is easier for you to recognize the device that you are formatting. Rufus comes handy if you are going to work on a device that does not have an OS installed or doesn’t have the OS that you want to work on. It is also useful if you have to flash a BIOS or firmware. Rufus is enough fast ad faster than many other USB Installers. XBoot is yet another free tool to combine ISO to create single multi boot or to create bootable USB. XBoot can combine various bootable ISO files, Antivirus rescue CDs, or other utilities and put it all together into a multi boot ISO file. Download XBoot and then drag and Drop the various ISO files that you want. Then select the USB drive and boot loader. Wait for some time and the notification window will be showing if the process is complete or not. Once complete, you are ready to go! 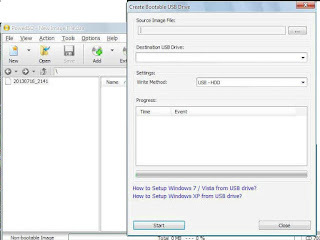 Windows USB/DVD Download Tool from Microsoft helps you create a bootable USB. Download the tool and then open it. There are instructions in each dialogue box during the setup to guide you through the entire process. So if you are looking for a hassle-free installation, this is the one to go for. Remember that you need to download Microsoft.NET Framework with a version 2.0 or higher. Also, Microsoft Image Mastering API must be downloaded and installed. And with an entirely blank USB, you can create a Bootable USB by following a few simple steps. UltraISO is a CD or DVD authoring tool. But you can also create a bootable USB with it. First up, download the UltraISO tool and install it. Open the ISO file on your hard drive and open it with UltraISO and plug in your USB into the USB port. In the menu, make sure that you select the Write Disk Image option from Bootable. Then choose the drive and set the Write Method as USB-HDD+. By clicking on Format followed by Start, you can start the process. And once it is finished, confirm the write using Write option. This USB drive can then be inserted into any device you wish and load the OS with it. And apart from this, with UltraISO, you can directly edit an ISO image file, extract files and folders from ISO image file or add delete and create a new directory. With trial version, there is a restriction on the size of the ISO file that you use. So if you want to get all the benefits, upgrade to pro version. Using this tool, you can create a multi boot USB drive. You can copy any ISO file and make a bootable USB out of it. Linux and Windows OSs can be used. The menu may look little cluttered, but it comes with a lot of customization such as Boot Loaders, Speed tests and much more for the drives you prepare. YUMI or Your Universal Multi boot Integrator as they call it is a fast tool to create a bootable USB. Apart from helping you create USBs with multiple operating systems, YUMI also lets you add other features such as antivirus software, disc cloning, other diagnostic tools and much more. It keeps a well-organized Multi boot USB drive with most of the files stored inside a single YUMI multi boot folder so that you can still use your USB for other purposes. This one has tools such as FBinst Tool, Bootice, which you can’t find with most of the other bootable USB creator tools. The user interface has instructions that pop up for every step you do that helps even a novice in creating a bootable USB. As simple as the name, this is a great tool to create a bootable USB. It has step by step process to make your task easier. Or you can just drag and drop the ISO file and wait until the work is done. Download and install power ISO in your device. Then you can create a bootable USB by clicking on the option Create Bootable USB Drive, which can be seen in the Tools menu. 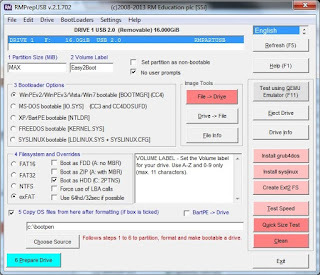 Then just like other tools, select the drive and writing method as USB-HDD. You can give your own .ISO file, and there are traditional options like Fedora, Kubuntu, etc. to choose from. It creates the USB by either downloading an ISO or by making use of what you supply. You can either use Liveboot or Hard Disk install mode. For those who didn’t know that your USB could boot an operating system on any device, information about these tools would have given you a new way to make better use of your pen drives. So the next time you want to install an OS, you don’t need to waste your time and money on compact discs anymore. Especially if you belong to that category of users who love experimenting with different OS platforms. And for others, who were looking out for better tools, I hope the information in this post helps! Previous articleRocket VPN Review: Is It The Best VPN App For Android?